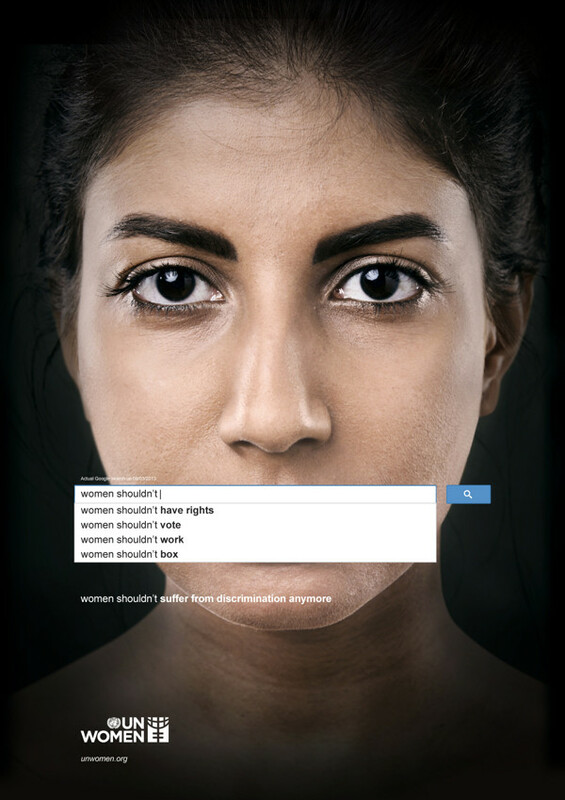 Finding sexism in the world is as easy as typing a few words into the world's largest search engine. 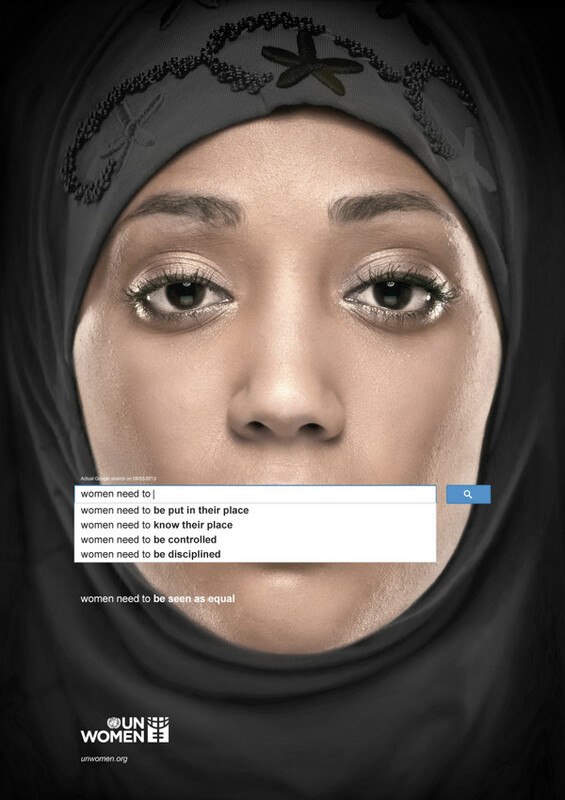 A campaign for UN Women shows how gender prejudice can rear its ugly head on a universal tool like Google. 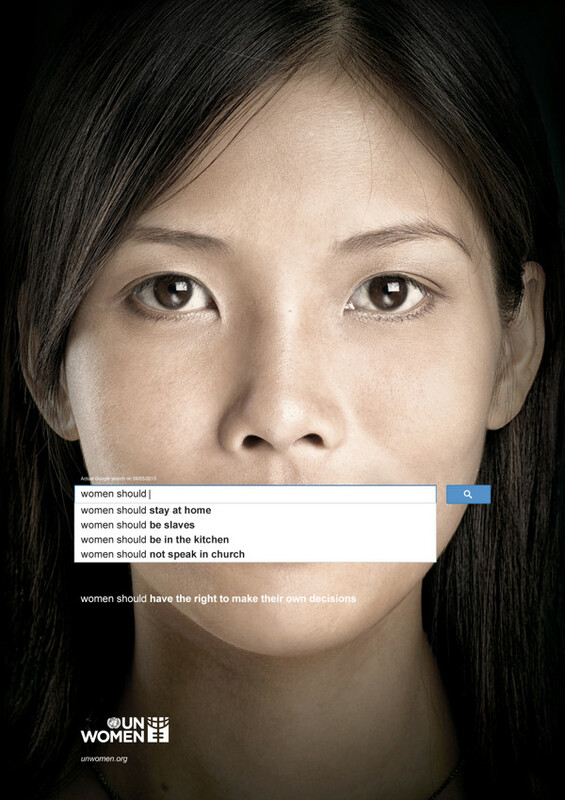 The ads match women's faces with beginning search terms such as "women cannot" and "women shouldn't." The autocomplete spits out suggested phrases that reek of misogyny. The results were from an actual Google search, according to the description next to the ad. We weren't able to reproduce all of these results when we tested the Google search phrases ourselves, but did we did see several of them. 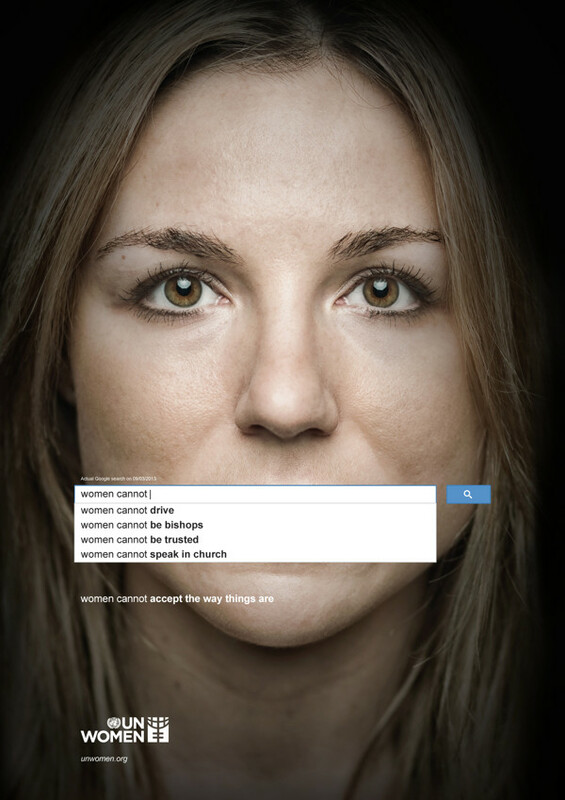 AdWeek called the PSAs "simple and powerful." The campaign appears to have been introduced months ago but is just getting a look from several blogs.